Built-in bookcases are a wonderful addition to any home’s living room, study or even an office lobby. Not only do they provide the utility of storage, they are a great decorative addition as well. Turn a plain old wall into your personal library complete with extra storage space for kid’s toys, your movie collection or even more books! Expert Tampa master carpenter Don A. Sigel designs and constructs these built-in bookcases for homes and offices across central Florida. 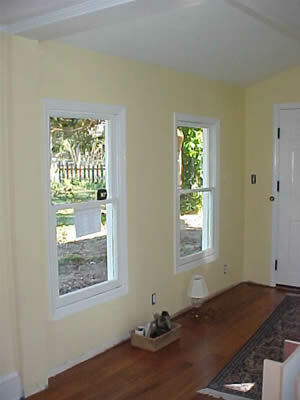 He makes efficient use of your space to give you a great alternative to bulky, stand-alone fixtures. 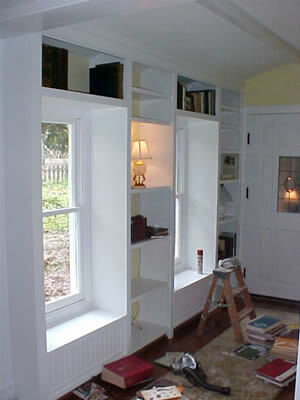 See one his prior custom built-in bookcase projects from start to finish below. Interested in a novel way of storing books that adds glamour and value to your home? 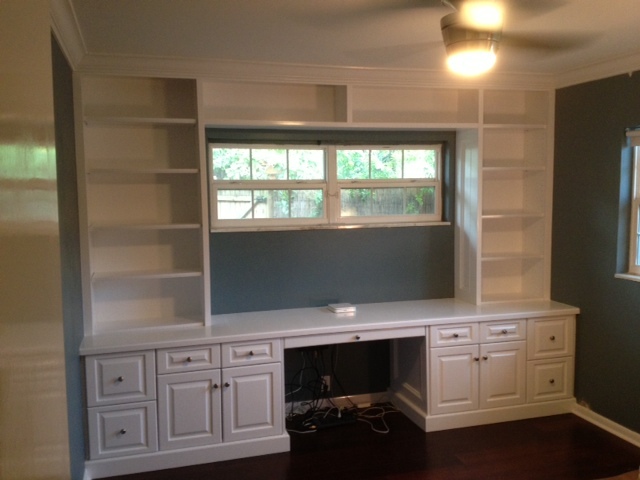 Contact Tampa master carpenter Don A. Sigel and inquire about custom built-in bookcases for your home today! 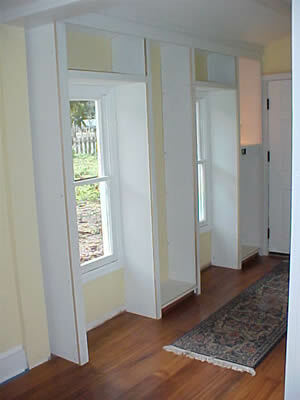 Customed built-in bookcases made of poplar, have two window seats with piano hinged tops that provide storage. Adjustable shelving allows for easy decorating. 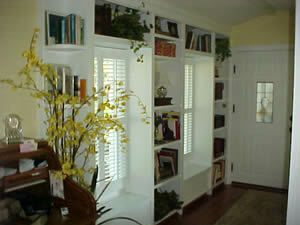 Solid wooden louvers add richness, glamor and privacy while complimenting the bookcases.